Robert Rodriguez Nabbed to Direct ‘Jonny Quest’ Adaptation for Warner Bros.
As far back as 2007, Warner Bros. has been trying, with little success, to get a live-action Jonny Quest adaptation up and running. The popular Hanna-Barbera cartoon chronicles the adventures of the titular hero, his father, adopted brother, and bodyguard as they take on evil villains and constantly thwart global conspiracies. At one point, the studio even had Zac Efron (Neighbors) lined up to play the lead while Dwayne Johnson (San Andreas) was set to play Bannon, the bodyguard. The project, however, consistently encountered roadblocks and obstacles leading many to wonder if an adaptation would ever be in the cards for Warner Bros., which owns all Hanna-Barbera properties. Now, it seems like the studio may be closer than ever to fulfilling that vision, as the company has nabbed Robert Rodriguez (Sin City 2: A Dame to Kill For) to direct. Rodriguez is also on board to rewrite the script along with Terry Rossio (Pirates of the Caribbean: Curse of the Black Pearl). The original draft, which was penned by Dan Mazeau (Wrath of the Titans), made the Black List (an annual survey of the best screenplays not yet produced) back in 2008. The film would be the fifth live-action adaptation of a Hanna-Barbera property, following The Flintstones, The Flintstones in Viva Rock Vegas, Scooby-Doo, and Scooby-Doo 2: Monsters Unleashed. While some of those films enjoyed box office success, all of them were critically panned. In fact, Warner Bros. is hoping that Jonny Quest can be the first Hanna-Barbera adaptation to enjoy both commercial and critical success. The last high-profile Hanna-Barbera release, 2010’s Yogi Bear, was also a critical disappointment despite some mild box office success. 2002’s The Powerpuff Girls Movie was the studio’s highest-rated film critically, but still only achieved modest box office numbers. For Rodriguez, whose body of work has run the gamut from hyper-violent (From Dusk Till Dawn) to family friendly (Spy Kids), taking on the directorial duties for Jonny Quest shouldn’t be too much of a stretch. 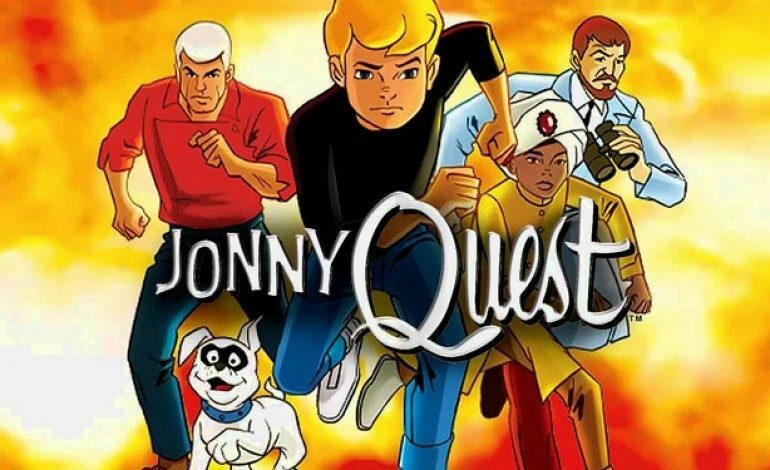 Jonny Quest ran successfully on ABC in the 1960s, and then got rebooted in the 1980s and again in the 90s for Cartoon Network, gathering a new generation of fans.